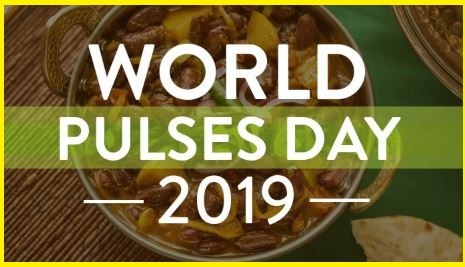 The first ever World Pulses Day was celebrated on 10th February 2019 around the world. With the growing significance of the International Year of Pulses, the UN General Assembly passed the resolution to celebrate 10 February as World Pulses Day to keep the positive momentum surrounding these healthy, nutritious, protein-rich, nitrogen-fixing legumes alive after the FAO’s successful 2016 International Year of Pulses Campaign. Pulses are a type of leguminous crops that are harvested solely for the dry seed and does not include crops that are harvested green (e.g. green peas, green beans). Dried beans, lentils and peas are the most commonly known and consumed types of pulses. Pulses include all varieties of dried beans, such as kidney beans, lima beans, butter beans, and broad beans. Chickpeas, cowpeas, black-eyed peas, and pigeon peas are also pulses, as are all varieties of lentils.